In a recent interview which I conducted with the brave Brazilian cartoonist Carlos Latuff, he told me that he has never seen a nation to be as strong and powerful as the Palestinian nation. I admire his statement. He is right in his position to say that the Palestinians are one of the strongest nations of the world. Palestinians are not well-off and sumptuous as the people of northern Europe, their annual GDP does not equate with that of Canada and France, they're not equipped with the state-of-the-art productions of technology, they don't have the capability to send all of their children to school to help them realize their dream of becoming useful and valuable individuals for the society, they don't live in edifices and penthouses and they don't earn $30,000 a year; however, they've achieved such sublime zeniths that takes hundreds of years for the other nations to accomplish. The incarceration of a Middle Eastern journalist or the death of a Latin American activist in prison provokes so many condemnations and expressions of concern from the four corners of the world that one instantaneously comes to believe the truthfulness and honesty of those who bring up the claims of defending the "human rights"; however, it's wonderfully unbelievable that the continuous and unremitting massacre of Palestinian people, who have been under the brutal oppression of Israeli apartheid for more than 60 years, does not incite any condemnation, implicitly being admitted by the silence of "international community". So; who is this international community? With regards to Iran's nuclear program, it is simply comprised of three countries who are opposed to Iran's development of nuclear energy, excluding 180 other countries who don't seem to be that much concerned about a peaceful country developing energy to meet its electricity needs. With regards to the Palestinian issue, however, the international community seems to have been made of no members! What about the United Nations Security Council?! Well, it's parading its capability to function as the authorized representative of Israel in the United Nations. 65 UNSC resolutions have been adopted against Israel during the period between 1955 and 1992; none of them have been heard by the Tel Aviv officials, and UNSC didn't take any step to hold the occupying regime accountable. So, why should there exist such a body if its resolutions are so ineffective and useless? Why should the member states continue passing resolutions if they're going to be operationalized discriminatorily? Why didn't the 5 bigs of UNSC ever object to Israel's disobedience to the Resolution 452 which called on Israel to cease building settlements in occupied territories? Why didn't the permanent members of UNSC ever protest to Tel Aviv's defiance against the Resolution 456 which deplored the ongoing settlements and asked all the member states not to assist Israel's settlement program? I stand by the people of Palestine, because they don't breach the international regulations. 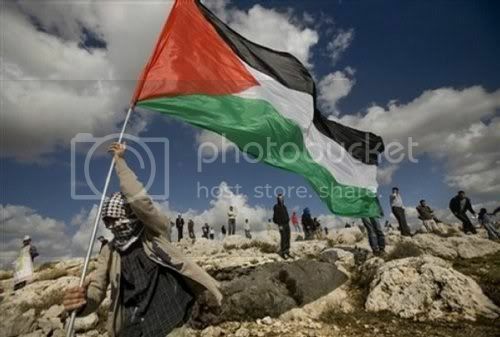 I stand by the people of Palestine, because they are standing on their own feet. I stand by the people of Palestine because they don't occupy, terrorize and massacre. I stand by the people of Palestine, because they don't pay the mainstream media to stage psychological warfare. I stand by the people of Palestine, because they haven't been subject to any UNSC resolution. I stand by the people of Palestine, because they haven't been supported by any of the imperialistic powers so far. I stand by the people of Palestine, because they don't receive $7.0 million of military aide from the United States per day. I stand by the people of Palestine, because they don't dream of expanding their frontiers from the Euphrates to Nile. I stand by the people of Palestine, because they've been, and are, submissive to the laws of morality, laws of humanity. I stand by the people of Palestine, because they're real human beings.